As I mentioned earlier I have been multiboxing in order to level a few duos with the RAF triple XP boost. I got Ferdix and Morphixea to level 85 first. The priest warrior combo worked really well. I am totally planning on getting them to 90, maybe not dual boxing all the way, but definitely dualboxing on the Timeless Isle once at 90, that would be interesting. The second duo I have levelled to 60. We reached 60 about 10 days ago, and I wasn’t exactly looking forward to doing Outlands yet again. Around that time the news about the 5.4.7 PTR patch came in. Apparently if you boost a lvl 60 or higher to 90 you get 600 on your two main professions ! 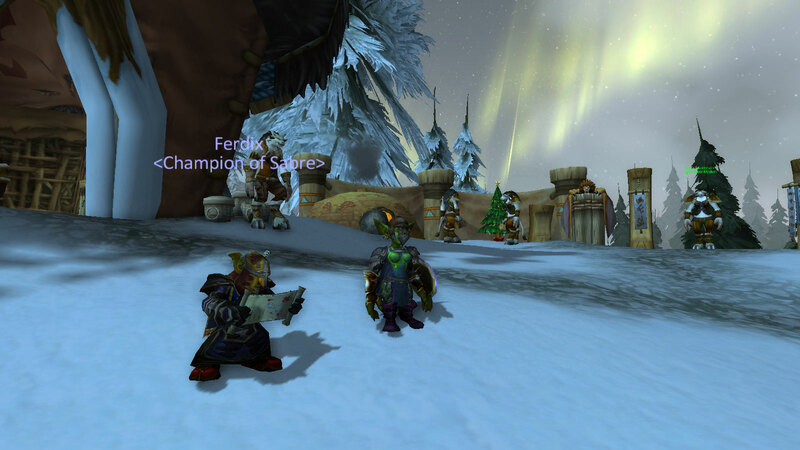 So I left Rainhoof and Turawk on 60, hoping to boost them either through the WOTD preorder or the ingame shop. The Monk / Shaman duo worked pretty nice as well, though the monk tank didn’t have the dps (yet) that Morphixea (warrior) had. No shield slam I guess. Done with the Un’Goro Crater, our Taunty Taurens are making their way to Silithus. The past weekend I levelled Zendrella finally to 90. She was pretty much my main character in Cataclysm, doing the fireland dailies etc., was a bit forgotten, but now she’s back with a vengeance ;). Furthermore I am levelling inscription with Ferdix, spending an hour picking flowers here and there. 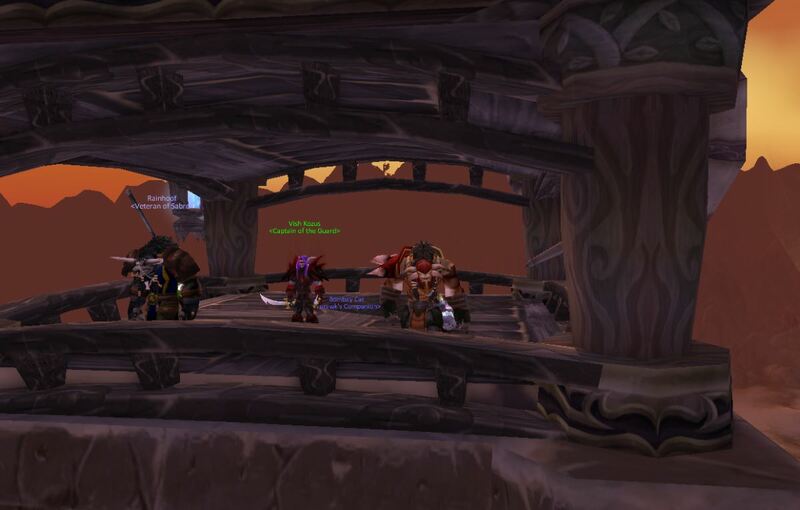 About October last year, Blizzard updated their Recruit a Friend program. It now gives triple XP all the way up to level 85. Since I really liked the Emerald Hippogryph mount, I figured I’d give it a go. 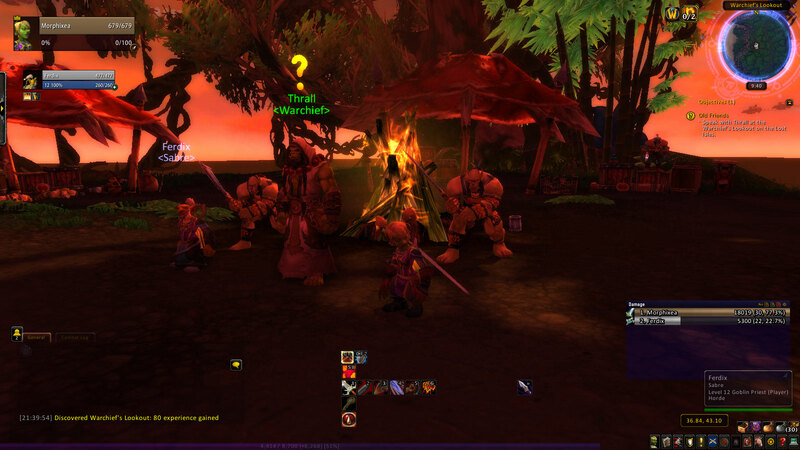 Also had a few alts I never bothered to level up, so I started researching dual boxing in Wow. It is a very common thing in Eve. But there, the game play is somewhat slower (especially for PVE), so you really don’t need any fancy software to make it work. In wow you could just let the other guy /follow you, but it would be nice if (s)he’d make a contribution as well. I figured it’s be fun to play a priest / warrior combo. Morphixea already was on my roster as a lvl 6, Ferdix was created on the new account. And I am using Hotkeynet to send keys to the other client. The program doesn’t seem to be updated any more. But it still works fine. You have to read up a little and edit a script, but that’s about it. I am not doing any fancy stuff. You can do mouse region clicks, picture in picture etc., but I am just using it to send keys. Basically what I do, is use SHIFT + number keys for healing, CTRL + number keys for attacking Morphixea’s target, and ALT + number keys for some miscellaneous stuff. 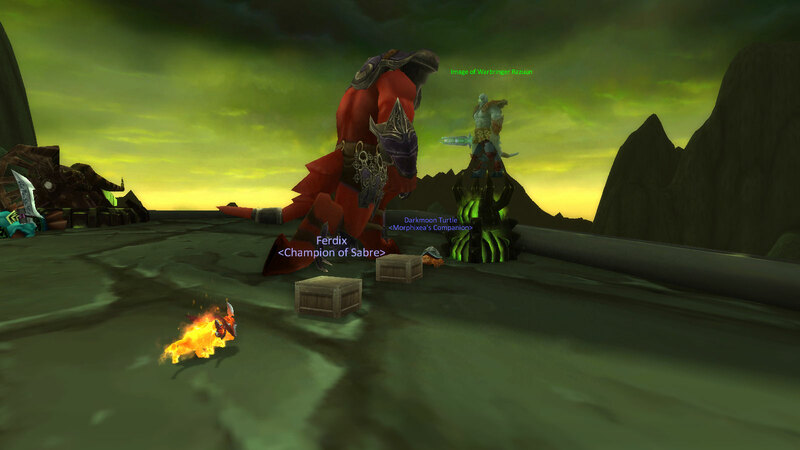 And ‘`’ for mounting, which is quite fun to see, they both jump on their mount and ride off :). As we speak they are level 73, ready to go into Grizzly Hills. It’s been a ton of fun, really changes the way you play the game. 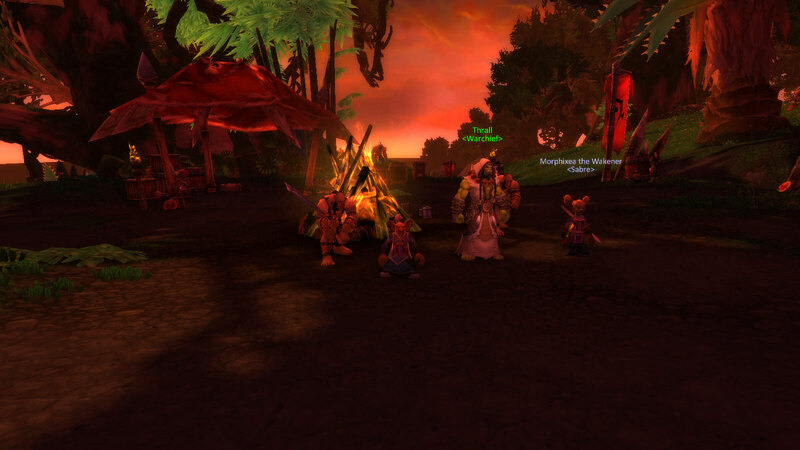 And very fast progression, as you can do old group quests with ease that give a ton of XP. 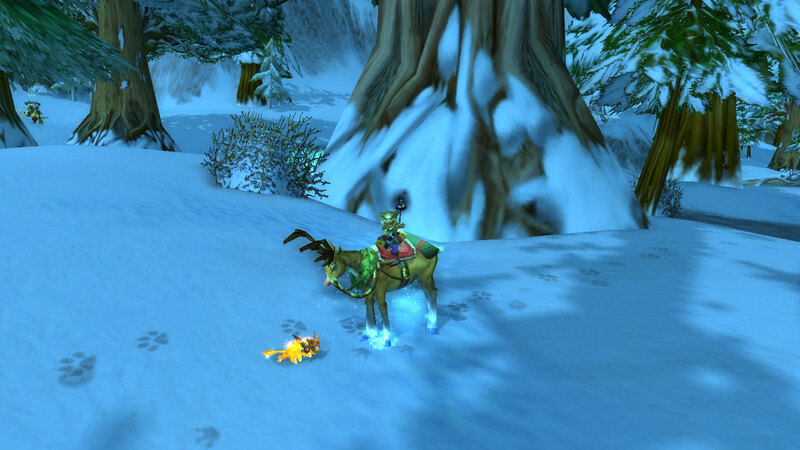 Even saw some in Silvermoon that I had never done before. You can see some screenshots of the Dynamic Duo in the gallery. I have grown quite fond of them, haha. 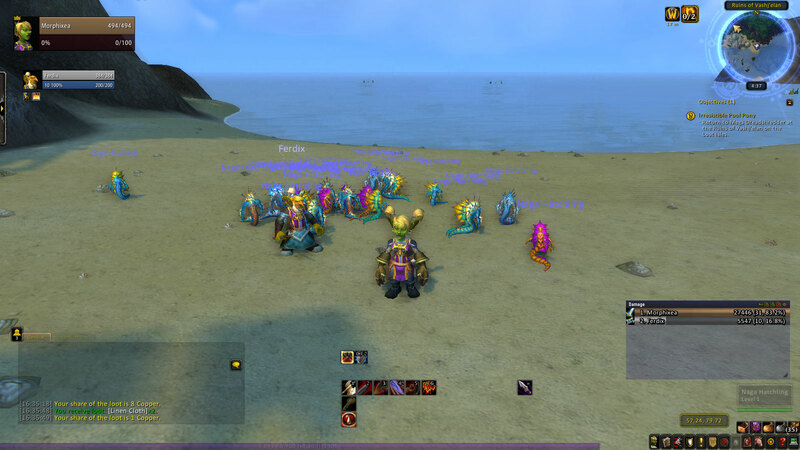 There is more info on multiboxing at http://www.dual-boxing.com/. My simple hotkeynet script is over here.